Pro Light RedBee-110 can safely carry 2 Premium CSC bodies and a 70/200 mm lens attached and additio.. Pro Light RedBee-310 smart design allows to safely carry a 400mm lens attached to a Pro DSLR and one.. Holds camera gear like a Canon 5D, Sony A7 kit or DJI Mavic kitG-lock flap closing system powered by..
Novi premium outdoor ruksak za fotografe pejsaža, prirode, ptica i životinja. Ruksak spada u CA..
Portable, heavy-duty and made to last. Carrying your kit is never be a chore thanks to the Manfrotto.. 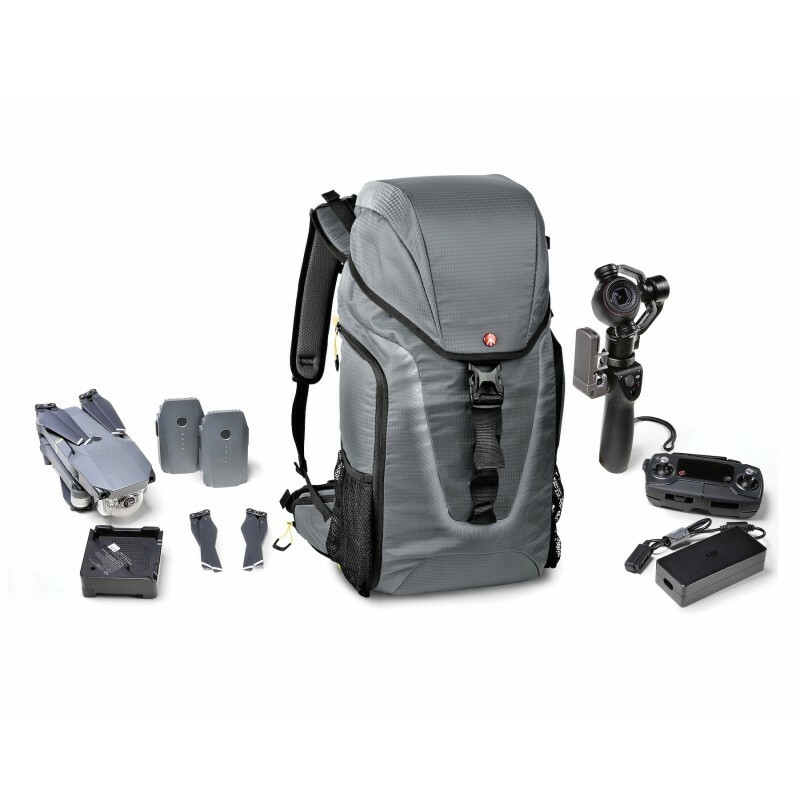 If you are looking for a compact, versatile and stylish camera bag, the Manfrotto Street camera Slin..
A multi-functional Camera Backpack, the Manfrotto Advanced Camera and Laptop Backpack Gearpack L for..
Good to go with this ergonomic and multi-functional camera backpack. Advanced Camera and Laptop Back..
A clever, compact holster bag for any serious professional. Designed to hold your camera kit and lap..
Three cheers for this 3-in 1 small, but spacious and compact camera backpack. The Manfrotto Advanced.. The dependable, practical must-have drone backpack. The Aviator Drone Backpack for DJI Phantom is id.. The Hover-25 is a 100% outdoor-ready professional backpack that protects everything you need fo.. Simple and quick top access to your DJI Mavic ProThree carry options: sling, waist pack or pouchWate.. Enjoy the new Manfrotto Advanced Befree camera backpack with new sleek design and bigger rear access.. The Manfrotto Bumblebee M-10 PL camera messenger is a professional camera messenger bag designed for.. Durable, reliable and practical. This Essential Camera and Laptop Backpack for DSLRs and CSCs gives ..